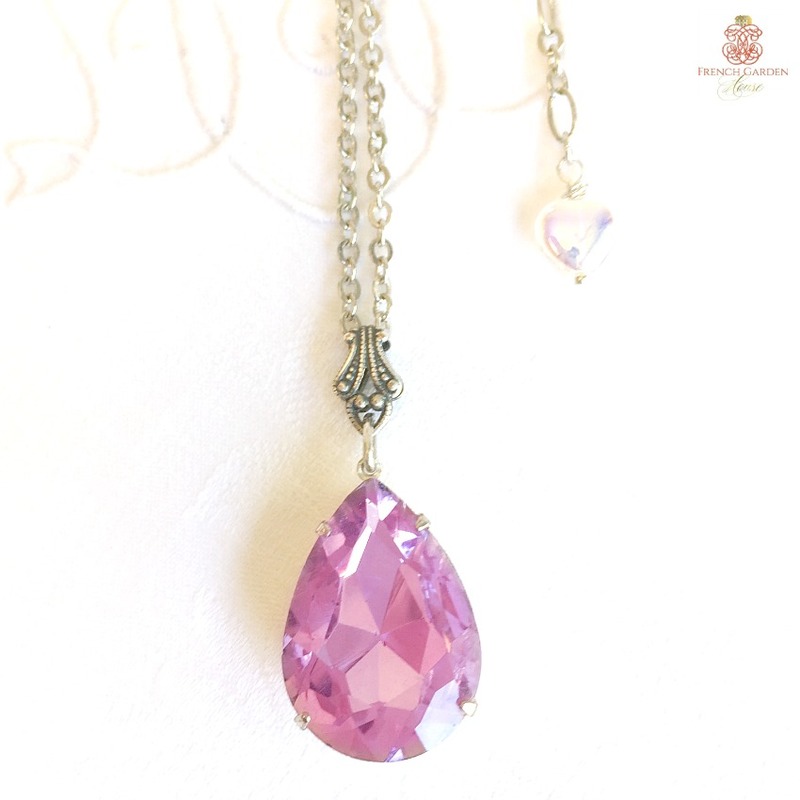 Exotic Orchid Rhinestone Teardrop Necklace features a vintage lilac purple jewel backed in silver foil for extra sparkle. 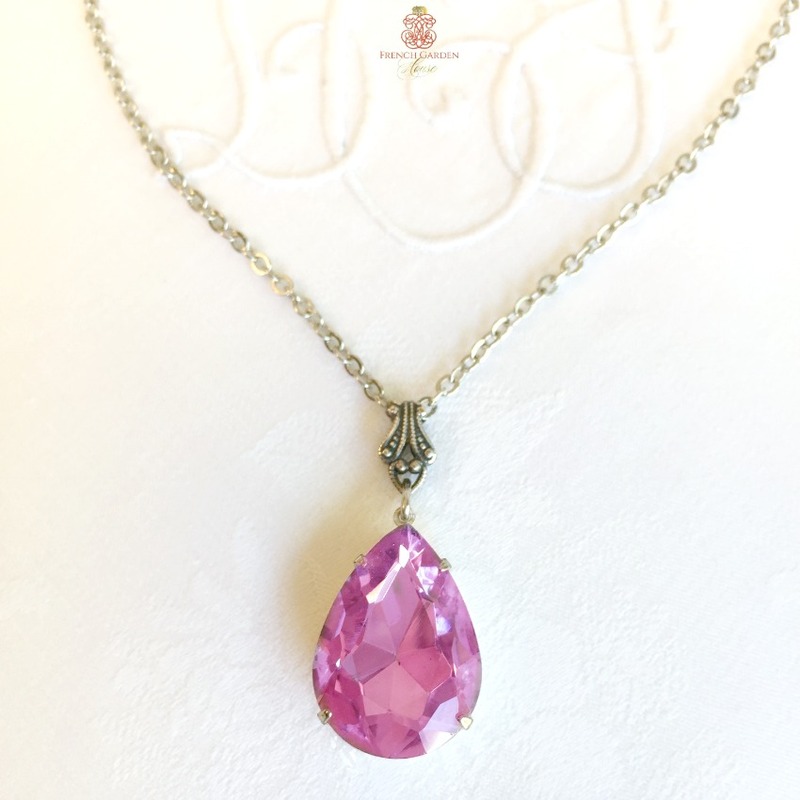 Not for the wallflowers amongst us, this large rhinestone pear shaped jewel is going to be noticed and will add a beautiful glow to your season's style. Created by hand with great care and exceptional skill by American jewelry designer and artist H. Kennedy. 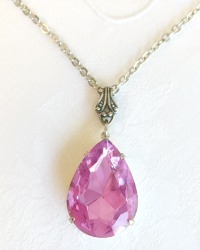 This is a large pear or teardrop jewel set in a silver plated setting, hangs from a delicate fully soldered silver plated chain, closes with a lobster clasp and measures 18” in length with a 2” extension chain finished with a crystal heart bead. Classic, this will express your personality with exceptional elegance. A favorite luxury addition to your jewelry collection. For those who love to capture hearts, jewelry that makes you shine. Pendant measures 1" l x 3/4"w.